David is a freelance graphic designer and owner of SUDA Clothing. Originally from Ecuador, David moved to Queens since coming back for college. Can you give us a little background on where you’re from and what you do? I’m originally from Ecuador, moved to NY when I was very little until I was in elementary school at which point I moved back to Ecuador for high school and then came back for college. I’m a freelance graphic designer and owner of SUDA Clothing. I lived in Jackson Heights for about 5 years and recently moved to Astoria. 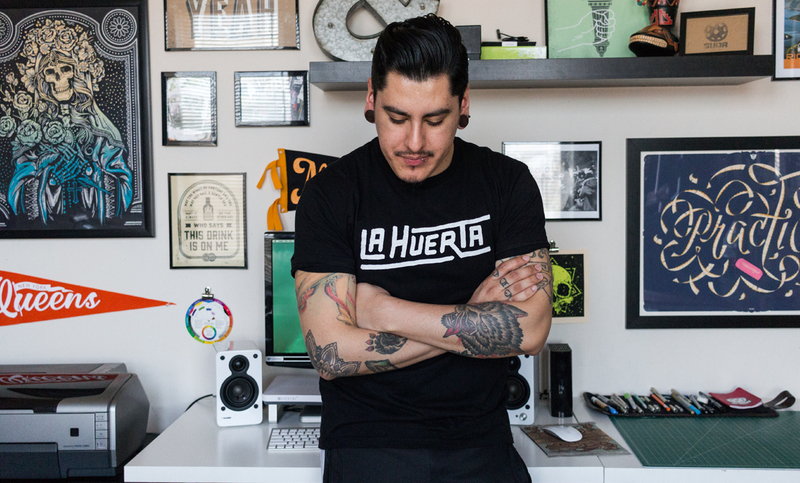 I’m into collecting records, tattoos, making things, soccer culture and being a workaholic. My philosophy is create your own future and work with your hands. How did you get into design and what made you pursue this career? For as long as I can remember I was always doing something creative, from building my ninja turtle lair out of cardboard, making stop motion movies with my brother to stenciling DIY tees for our band. I thought I wanted to be an animator in high school and then realized I don’t have the patience to animate frame by frame. So, when I went to college I decided to give graphic design a try and it just felt right for me. I became obsessed with design and wanted to do it every single day for the rest of my life. Oh man, my days sometimes are all over the place. Let’s just say it’s a LOT of work! Usually I’ll have a concept in my head, which becomes the overall theme for a collection. Then I’ll take a couple weeks just to design it all. Once I have final designs locked down, I start production, which is all done in my studio. I make my own screens, I print everything by hand, sew tags, etc. Then we shoot everything with Kevin, making sure the shoot fits our concept. We pick some great product shots and look book selects and put them up on the site. After that that’s when the other type of work comes in, from marketing, selling in fairs, spreading the word, shipping orders, etc. It’s constant work. You’ve created beautiful logos and graphics for some beloved locals; Heart of Queens, Queens Stomp, QueensEats, The Brass Owl, The Queens A’Fare. How did those relationships form? I truly believe when you have a positive attitude and work hard to achieve your goals, things happen. I think it all started with Katherine (Heart of Queens), she interviewed me for her blog once. We talked about doing something together and then she wanted to update her logo. So it started there and she was kind enough to recommend me to other people like Brian and Ashley (QueensEats) and it just became a word of mouth thing. The latest design I did was for Nicole who owns The Brass Owl. I helped her create some cool Queens tees for the holidays. I love working with all those guys, everybody is so nice and just have such passion for Queens I’ve never seen before. It would be awesome to keep working with more local businesses and great people like that. You have a full-time job and SUDA is your side project. How much does your 9 to 5 job differ from your passion project? Since early 2015 I quit my full time job and completely went into freelancing. It was a bit of a struggle at the beginning but luckily I was able to make things work and create some cool things. Currently, I’m freelancing at a big agency for the majority of the week, working on large projects and the hours are a bit long. In the evenings, weekends, and one day a week, however, I focus my energy on SUDA and other freelance projects. My main goal is to eventually work on SUDA as my only job, but I know there is still a lot of work to do to get there. Since I’m constantly designing every day, either at the agency or at home, I don’t feel stuck at a job but rather I feel I’m growing and moving forward in various aspects as a designer. I truly believe when you have a positive attitude and work hard to achieve your goals, things happen. You work closely with your partner and your brother. Can you talk more about how that came to be? They both have been supporting me since the beginning. At first, I wanted to do everything myself and didn’t want people helping, but slowly I had to let go of that or else I was going to drive myself crazy. Kristen is our business manager and she helps me with a lot of the logistics and the business side of things. I’ve learned a lot from her and it’s helped me make better decisions for the brand. Kevin is our photographer and has shot every single look book since we started. He has a great eye and he’s been getting better and better every time. Nowadays, I wouldn’t be able to do this without them. I run all my ideas and thoughts through them first before I do anything. It’s become more collaborative and I love that. SUDA is heavily engrained with your love for where you are from. What made you choose this direction? One of my goals since I was in school was to own a clothing brand, I used to work at smaller brands and loved everything about it. I knew I had to create one at some point in my life. And this is not my first brand; I had various failed attempts before. So in my search of creating a unique idea, the answer was right in front of me. I wanted to be able to tell a story and coming from South America there is so much to tell. I knew it was going to be a niche thing to do, but I took the risk anyway. I wanted people to learn about my experiences growing up. I guess part of me was missing home and this was a way of me keeping my culture and heritage. What inspired the SUDA logo and what does it symbolize? It symbolizes strength, union, and culture. The logo and typography were hand drawn and inspired by the Incas. An Inca warrior named Rumiñahui was one of the last of the Resistance to defend the empire against the Spanish regime and in one of his portraits I found, he is wearing a headband with a Sun symbol. The symbol was a representation of the Sun god Inti. The type is inspired by the amazing architecture I saw in Cusco, Peru. It represents the walls that were constructed by the Incas perfectly to fit each other stone by stone. What is your mission for SUDA? To show the world South America and the things it has to offer with a New York vibe. We have a mantra we go by “CREA PELEA SUDA”, which means “Create Fight Sweat.” Create what you want, always fight for it, and work hard to achieve it. You released Suerte o Muerte in 2015, what was the inspiration behind the line? Each collection has an overall theme that we follow. It sometimes is directly influenced by South America or by things I experienced growing up. 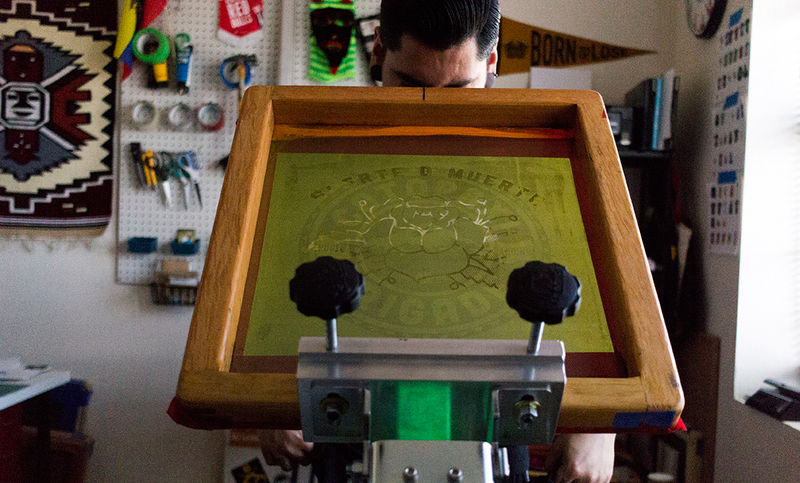 “Suerte o Muerte” translates to “Luck or Death”. It’s a phrase we used to say before we did something unknown, basically something you say before you take a risk. We wanted to explore a bit of that idea and mix it with the occult and dark imagery, hence the skulls and rabbit’s foot in our collection. The goal was to be a bit obscure with our photo shoot and I think it’s the best we’ve done. I really love it. 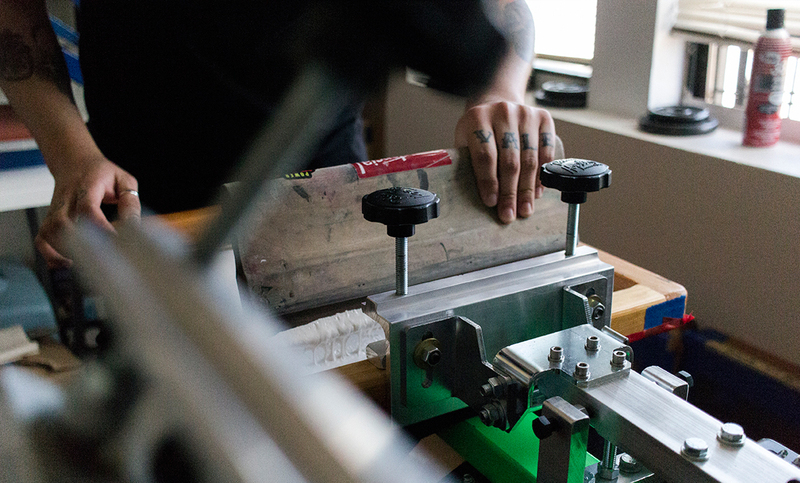 You are meticulous with your details and you make things by hand still. What does that mean to you? It means everything to me. The main reason I have this brand is because I just love to make things. It’s great when people notice the little details, that makes me so happy. It’s very important to me to make everything ourselves because I know at some point I will need to figure how to scale the business. I always have been a fan of brands and artists that make products themselves; there is a big sense of satisfaction telling people “Yea, I made that with my own hands”. Especially in today’s world where technology reigns over us, it’s important to have that personal human connection. How do you stay motivated and current in your field? How much does social media and the internet play a part? You really have to love what you do to not get bored with it. I am constantly motivated by lots of things, from record covers, hand painted signs, clothing brands, Jackson Heights, great photographers, Queens in general because of its great diversity. Also seeing amazing work online by great designers. I’d say social media and the Internet play a HUGE role. You can’t really escape it. It’s best to embrace it and use it to your advantage. Instagram for example is great; it’s like seeing mini portfolios of your favorite artists on a daily basis. 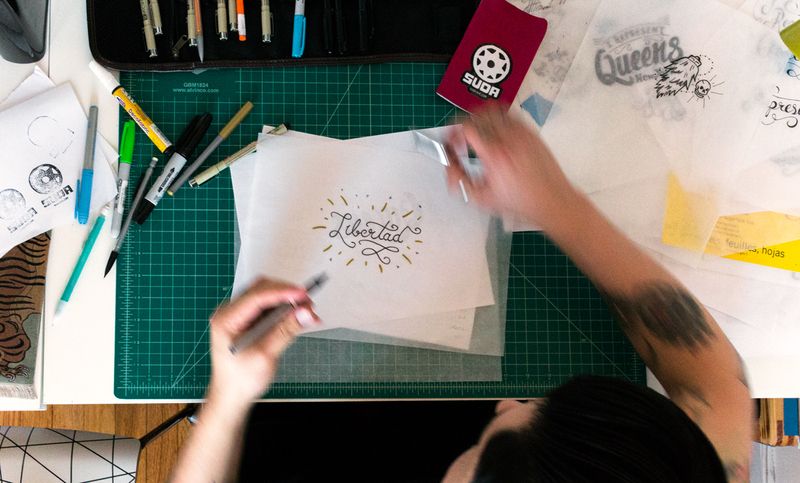 Who are some makers or designers that inspire you? 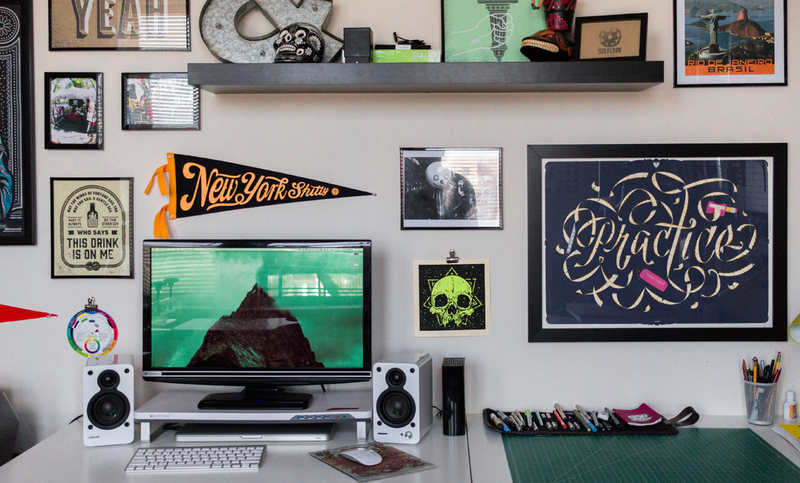 I love seeing the work of Jon Contino, David Smith, Dan Christofferson, Derrick Castle. Those guys are great inspiration. What advice would you give a budding artist starting out? The best advice I can give is do your own thing, don’t let others tell you what’s wrong or right. At the end of the day you need to make a path for yourself and work constantly to achieve your goals. Be patient, things don’t happen overnight, you need to go through so many experiences in your life to figure out what you really want to do and what truly makes you content. I’m still trying to figure out my path and figure out how all this works, but I’m really happy doing it now. Lastly, what are your Top 3 Spots in Queens? Make sure you follow David on Instagram to check out what he’s up to now! This interview was edited and condensed by Tiffany Wu. Photos c/o of Kevin Orellana.